Some special occasions call for more than a dress , a gown is needed which will not just make an entrance but turn the special occasion into a magical one. From shimmering metallics to meters of sequins so you glitter and sparkle as you walk to exquisite embroidery with intricate detailing. So add some glamour and fabulousness to any special occasion with one of these stunning gowns. Italian couturier Oscar de la Renta channels its namesake award with this floor-skimming gown – its metallic silk-crepe alone is worthy of a statuette. That’s even before we get to the silver-screen-worthy silhouette, which melds a V-neck bodice suspended from twisted shoulder straps with a figure-flattering waistband and a full, tiered skirt. As for adding jewellery? It could only ever be gold for us. If you want heads to turn (for all the right reasons) as soon as you step into a party or trussed-up dinner, David Koma is the designer to have at hand. He’s famed for form-fitting pieces – and this gown definitely ticks that box – but its floor-sweeping length is new to his already coveted repertoire. Macramé stripes create striking sheer panels from top to toe on this sculptural style, and those ruffled cuffs only add to the drama. “She sells seashells on the seashore” and the Victorian girl, Mary Anning, who inspired that tongue twister captured Sarah Burton’s imagination this season at Alexander McQueen. As ever, the Creative Director turns her inspiration into artful motifs, stitching jacquard shells into the silk canvas of this corseted gown, decorating it with timeless floral embroidery and sculpting one shoulder to splay scallop-like. 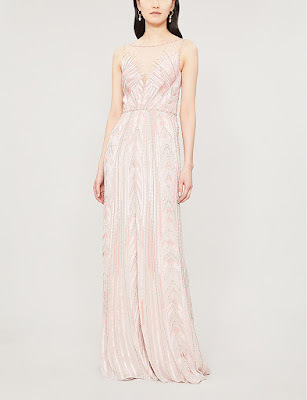 Where would Jenny Packham be without her trusty sequins? Well, the Bacall gown wouldn’t be so spotlight-stealing, for a start. Lucky the tulle and silk number is showered in streams of the sparkly stuff then. The brand’s SS19 collection is inspired by 1930s starlet Jean Harlow, and we can see the era in the Art Deco-style embroidery through the bodice and floor-length skirt. Keep it from trailing with equally show-stopping stilettos. There’s a time and a place for trainers slipped on under the hem of your floating midi dress; but sometimes you need to call on full-on glamour. And that’s where Balmain comes in. 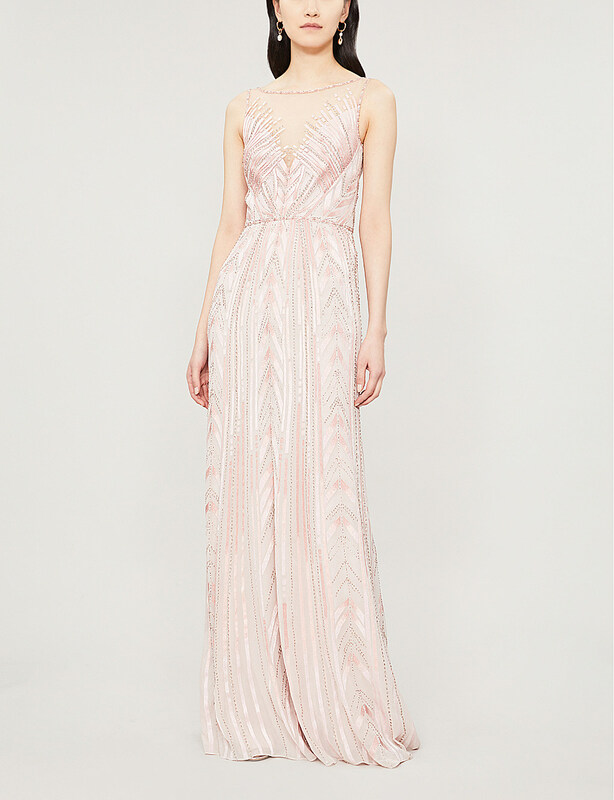 Using crepe to create the figure-hugging silhouette of this gown, the label trims its top with semi-sheer mesh across the shoulders, creating its signature peaked shoulders with pointed pads, and scattering sparkling crystals from the neckline right down to the cuffs. Several iterations of the classic party dress were made to achieve a look of nonchalant elegance; and for every other occasion, Galvan made its Adela dress. 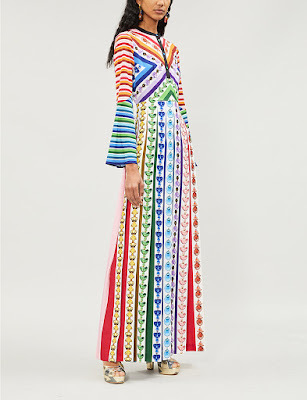 Taking an ankle-skimming, figure-hugging silhouette and dousing it in light-catching (and, let’s face it, eye-catching) sequins, a window cutout at the back serves as a skin-baring juxtaposition to the full-length sleeves and a round neckline. What to wear it with? We say, whatever you want. 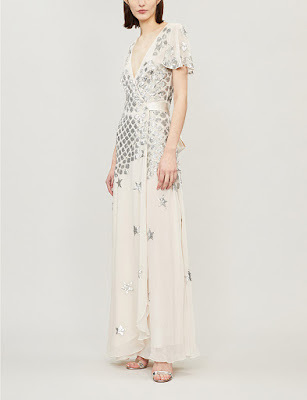 Stella McCartney’s meticulously cut eveningwear has featured on many a red carpet – you might recall Miley Cyrus sporting this floor-sweeping number at the 2018 Met Gala. Spun from lustrous silk satin, the Italian-made gown flatters the figure by forming a plunging halterneck and open back. Sitting close to the body before flaring out at the skirt, it pools up at the hem to leave an impressive train. 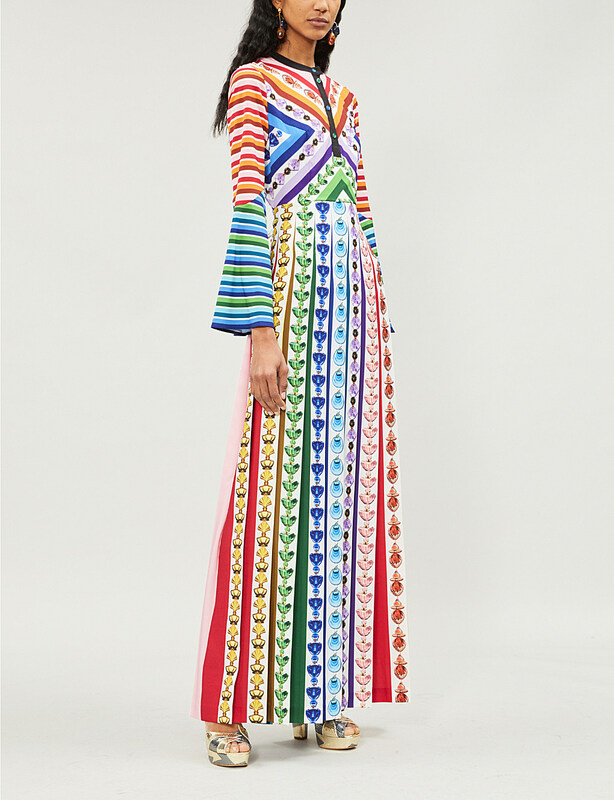 Temperley London’s Starlet gown is inspired by the women who raced on the legendary tracks of the Le Mans in Monaco in the 1930s. You might have less adrenaline-fueling occasions in mind for this style, but it makes an impact with its engineered checkerboard sequins that merge into sparkling scattered stars. 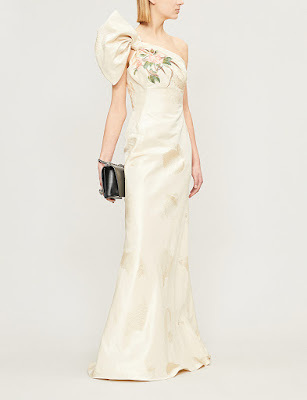 Shaped into a flattering cinched waist with short flutter sleeves, it’s all wrapped up with a satin bow at the side.